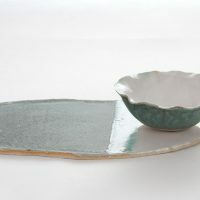 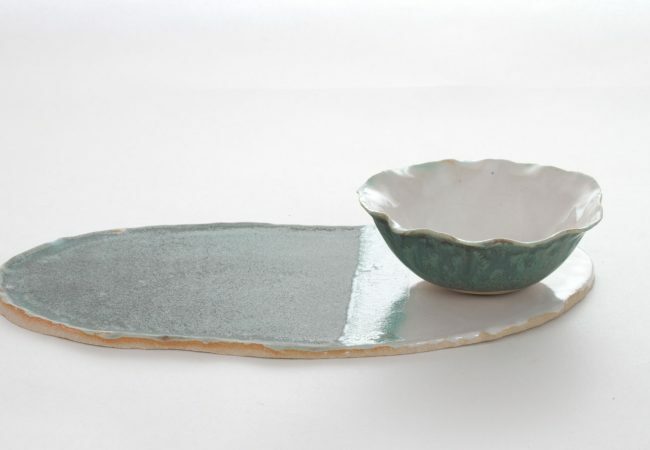 This freeformed platter and bowl are hand made from stoneware, which is durable and can be put in the dishwasher. 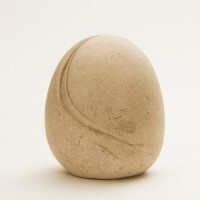 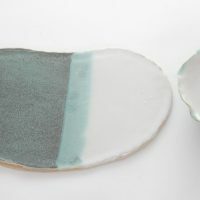 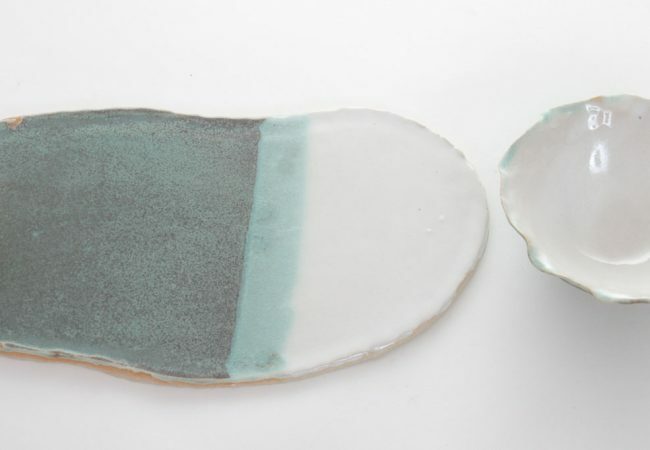 The glazes are deliberately overlapped on the platter to create an area of unpredictable interest. 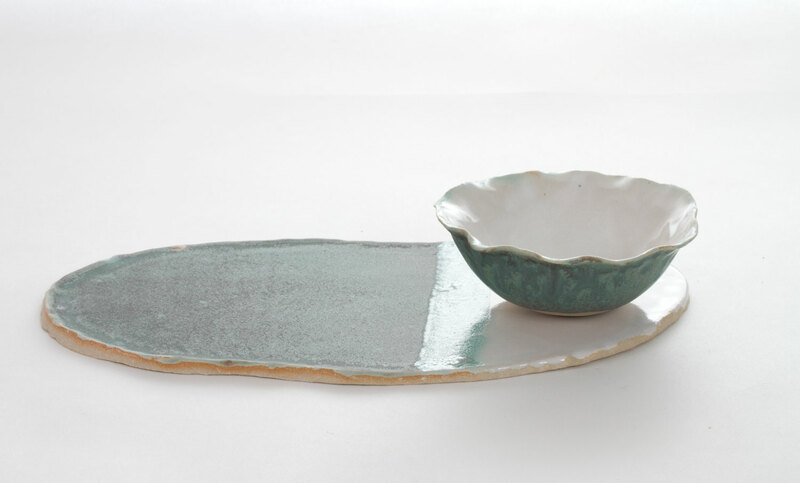 Here the overlap is of a copper green colour and adds a beautiful depth to the platter.